This morning we freed the boat of all plastic and tape. The final finish turned out beautifully. It was better than I imagined, but what I had hoped for. Brian did a phenomenal job spraying four coats of semi gloss AwlGrip. Seth and the crew did an incredible job getting the boat to this stage, no doubt about it. The green bottom paint and brightwork will be the zinger to complete the hull. The rig will be the crowning moment, tying it all together. Bottom paint really makes a difference. We are getting closer to looking like the original concept,to what the owners and I had envisioned. There's still much to do but we've peaked and now we're on the descent. By the end of February, we should have a boat ready to sail. 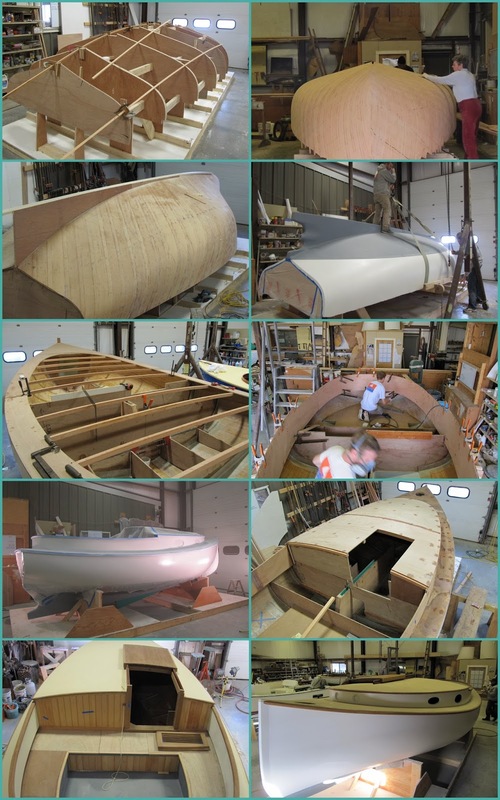 These photos give the idea of how involved the process gets. It accounts for a thousand big steps and many more smaller ones in between. There is the constant need to helicopter over the whole scene to be sure we're on track, and then zoom back in to the task at hand. 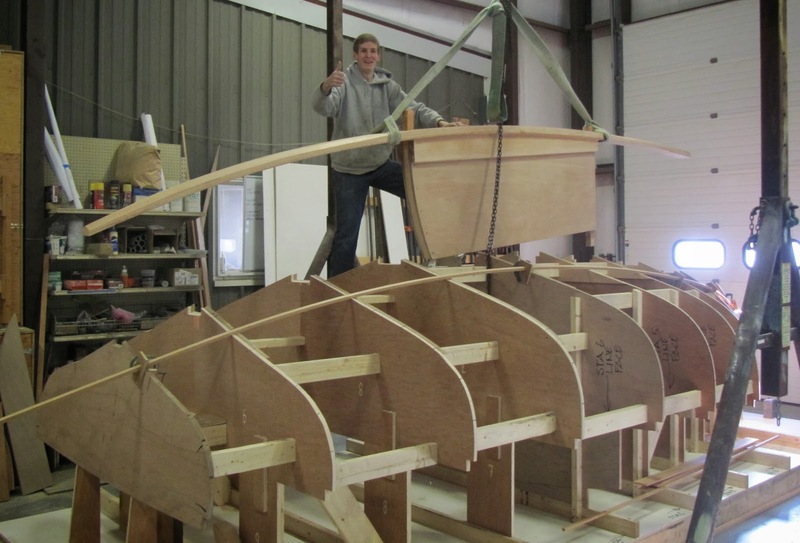 This is basic boat building, or building of any kind for that matter. From the first discussion to this point in time, it means staying the course, keeping the original vision in mind, listening to one another, and to the customers. Changes are inherent, but cannot distract from the main objective. Each person has played their part, and so very well. 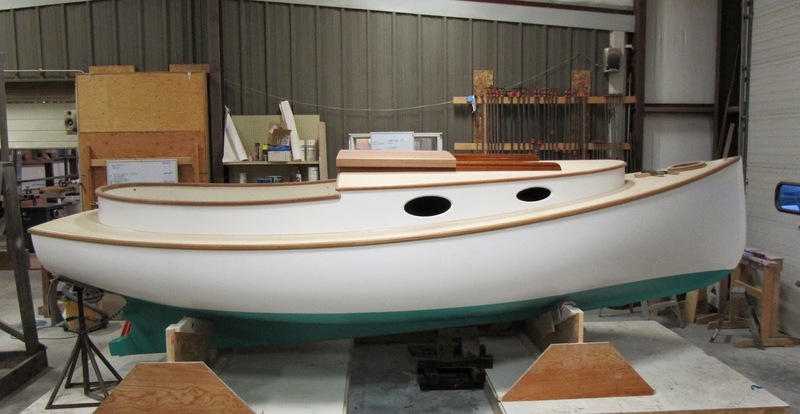 It's almost possible now to dream about how this catboat will perform. 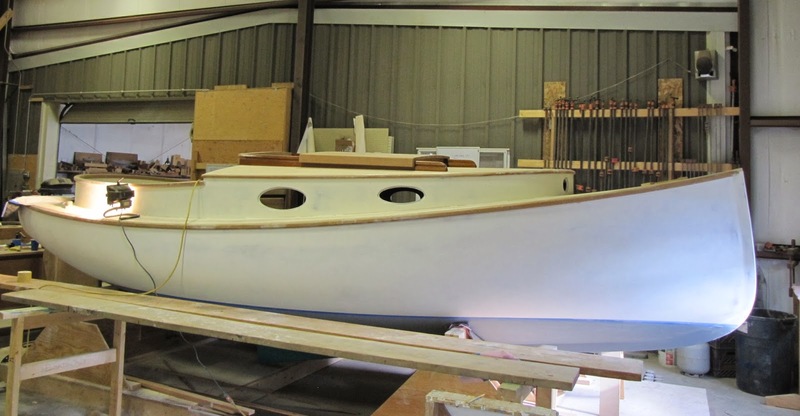 That stage has been kept very quiet, although we sense that she'll be a good boat. Back to work...so much more to do!